Northants went to their final league match of the on a wet July morning, following a weekend of widespread course closures. With victories in their two previous matches, they arrived in the knowledge that a good performance would secure the trophy in the first ever "Anglia Seniors League". 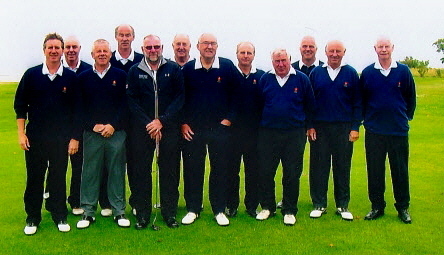 The match played with 12 singles matches, each game played over the full 18 holes with the result based on holes up. In the event of a defeat the league would be decided on the basis of individual games won over the the league season. With victories in 7 of the matches Suffolk were victors by 20 holes. Leaving 3 Counties with 6 points each, all having won 2 games and lost 1. In the event the result was sufficient to secure the League Championship. The league table is published on the Anglian Seniors League.